It’s been awhile between blogs involving a travel experience, a rant, a plea for innovation. 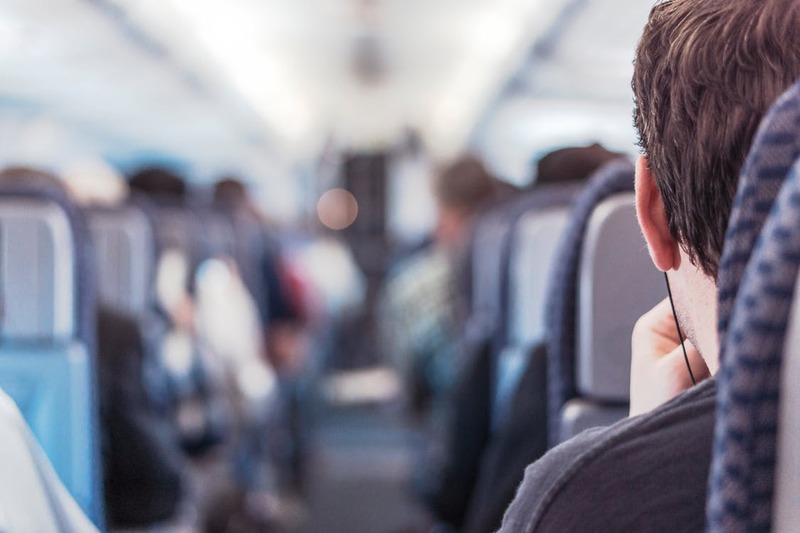 Rest assured loyal readers – while this focuses of travel, I’m not seated in premium economy looking down at the cheap seats and passing judgement. Rather, I’m hypothesising that maybe travel is the marketers dream and the magical place and experience where consumers are most prone to not only change their behaviour but create new habits – which despite being an oxymoron, could in fact be the Bermuda Triangle of Behavioural Economics. Bare with me as I let you into my world of travel that could either strengthen my hypothesis or make you worry about my mental stability and decrease any potential trips we had planned. People have the inability to remember they are wearing a belt, have nail scissors in their carry on or that they put their phone (which they had been looking at for the 15 minutes while waiting to go through security) back in their pocket before passing security. OK – that’s a rant (use the time in the lead up, it’s dead time, be prepared) but are we prone to be more forgetful or is it the excitement that the upcoming trip has? For most long-haul flights, I buy a book which I don’t read on the plane. Up until this year, I hadn’t read a book in 7 years. I’ve done over 20 long haul international flights in the last 4 years and I bought I book I didn’t read each time. I put butter on my bread roll – and there’s a system to how this happens. Meal served, put the butter sachet on the hot meal as it’s often rock hard, so by the time I’ve got my drink, it’s easier to spread. Being easy to apply to the bread roll is helpful as I haven’t put butter on bread, toast, bread rolls since the last flight I took. Don’t have butter in my fridge at home; don’t really like it! I take enjoyment in watching what other people are watching. There have been times when I’ve forsaken my own screen to watch a movie, with no sound, on a tiny screen, four rows in front of me. I discovered (luckily) that I’m not alone in this behaviour – Kyle Buchanan wrote a great article and found similar support for this strange behaviour. If people increase their forgetfulness at the start of the trip, they’ve lost their minds by the end. You don’t need to clap the pilot – they can’t hear you and it’s their job to land the plane. Pushing past what should be a logical way to exit the plane won’t make the customs line any shorter and standing closer to the baggage carousel isn’t proven to make your bags appear – yes, this is a rant as well. In researching whether my theory might be true, Google referred me to Thinking Fast & Slow by Daniel Kahneman – ironically a book I had been given to read on a plane (didn’t) and then a couple of trips later purchased to read again (which I didn’t). Known as the definitive publication on Behavioural Economics, it outlines some key principles that impact everyday behaviours. A couple of them makes sense to how I view the travel category. Habits – most of our day to day behaviour is based on what we did the last time or what is always done. So while I break a number of existing habits, I’ve actually created new ones so conforming to what I did on the last trip. Empowerment – people need to feel they can change in order to make an attempt – so maybe watching BayWatch, mute, 4 rows up will give me the courage to just watch it on my own screen with sound – I didn’t. Relativity where the value of things is perceived in a relative rather than an absolute – so if the first class people are being let off the plane now, why shouldn’t we? Whether this is just a fascinating insight into how my mind works (when on a plane) or proof that Behavioural Economics can explain people on a plane, if there’s one thing to take out of this – I don’t need any more books!